Robert Elliott is Professor of Counselling in the Counselling Unit at the University of Strathclyde, where he directs its research clinic and teaches counselling research and emotion-focused therapy. A professor Emeritus of Psychology at the University of Toledo (Ohio), he is co-author of several books. He previously co-edited Psychotherapy Research, and Person-Centered Counseling and Psychotherapies, and is a Fellow in the Divisions of Humanistic Psychology, Psychotherapy, and Clinical Psychology of the American Psychological Association. He also teaches workshops about empathy around the world. "Psychotherapist empathy has had a long and sometimes stormy history in psychotherapy. Proposed and codified by Rogers and his followers in the 1940's and 1950's, it was put forward as the foundation of helping skills training popularized in the 1960's and early 1970's." Module 3: Task empathy": open marker work focused on empathising with client agentic experiencing. Module 6: Radical Acceptance/self soothing/empathic affirmation: Offering empathic presence to your own and others' emotional pain. "A new study, published in Psychotherapy, explores the role of therapist empathy in predicting psychotherapy outcomes. The results of this meta-analysis, conducted by Robert Elliot and a team of researchers, suggests that therapist empathy leads to moderately better results in psychotherapy." Therapist empathy and client outcome: An updated meta-analysis. 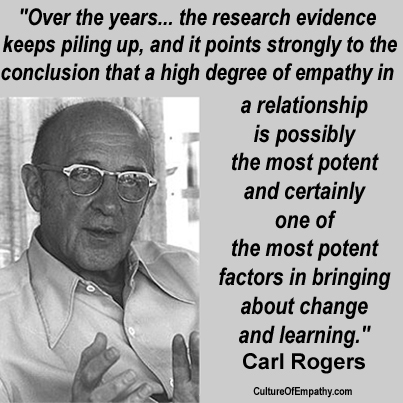 "Put simply, empathy refers to understanding what another person is experiencing or trying to express. Therapist empathy has a long history as a hypothesized key change process in psychotherapy. We begin by discussing definitional issues and presenting an integrative definition. We then review measures of therapist empathy, including the conceptual problem of separating empathy from other relationship variables. We follow this with clinical examples illustrating different forms of therapist empathy and empathic response modes. The core of our review is a meta-analysis of research on the relation between therapist empathy and client outcome. Results indicated that empathy is a moderately strong predictor of therapy outcome.."
After defining empathy, discussing its measurement, and offering an example of empathy in practice, we present the results of an updated meta-analysis of the relation between empathy and psychotherapy outcome. Results indicated that empathy is a moderately strong predictor of therapy outcome: mean weighted r = .31 (p < .001; 95% confidence interval: .28-.34), for 59 independent samples and 3599 clients. Although the empathy-outcome relation held equally for different theoretical orientations, there was considerable nonrandom variability. Client and observer perceptions of therapist empathy predicted outcomes better than therapist perceptions of empathic accuracy measures, and the relation was strongest for less experienced therapists. We conclude with practice recommendations, including endorsing the different forms that empathy may take in therapy. Professor Robert Elliot of the University of Strathclyde discusses why emotions are important and how we can get stuck in our emotions. Importance of empathy in EFT. "The whole process is based on empathy." 1. core to change process. empathy is healing. Empathy is a means to an end and an end in itself. 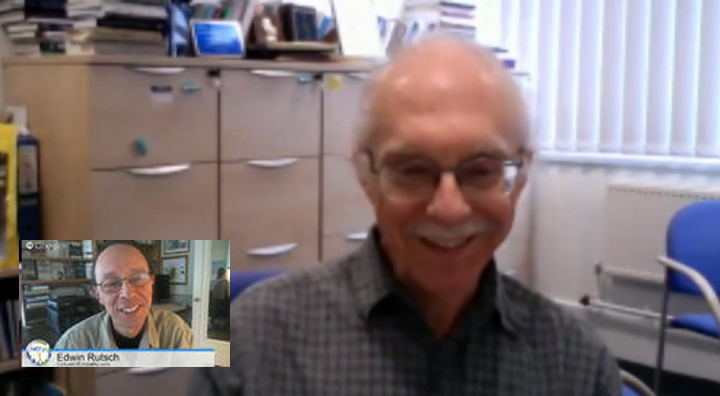 "Professor Robert Elliott of the University of Strathclyde talks to the Counselling Channel's Niall O'Loingsigh about the Person Centred approach of Process Experiential Emotion Focused Therapy. "